We’ve love to help out business’s even if they aren’t able to utilize our services! So we thought we’d put together this short post to help everyone along with their online marketing efforts. We of course would love to assist in proper set-up, optimizing and how to post to these sites – but these should get you started! 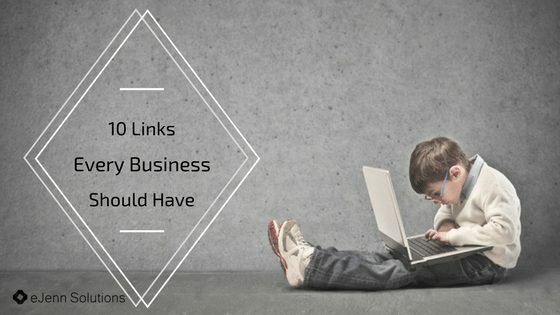 Here are the 10 best online links that every small business should use when starting their online marketing efforts! okay… we’re a bit biased on this one. If you subscribe to our newsletter or our blog via the social links to the side – you’ll have in your inbox a steady supply of helpful online marketing tips for your business. We may throw in some affiliate supported links to products we love from time to time in our posts or newsletters, but you’ll mostly get great actionable advice. This can be a little tricky to find in the mucky world of Facebook. However, here is the direct link for you to set up your business page. Keep in mind that once you set this up, having all the form fields filled out completely will help you along in your online marketing efforts. Don’t forget to verify your page too … you won’t be indexed if you don’t and all your hard work will be for for nothing. Yes indeed … you still need to claim your Facebook Business page name. OR … if you want to change the name, you can do that here too! If you want a business name that is already taken by another page … you’ll have a bit more work to do. If you have your business trademarked or legally set-up, you’ll have to go through a different process. But, for one time changes for page names that are available – that’s the link you want! Have fun! While we are NOT affiliates of these products, there is no denying that the Google Business Suite of available products to the small business owner are valuable! The link above will help you set-up your business email through Google as well as your calendar and many other options. 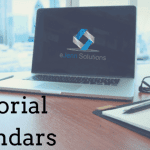 We’re an avid user here at eJenn Solutions – so we’re a bit biased on this link too, but we wouldn’t suggest if we didn’t think you’d like it! Once you set up your Gmail account for you and those in your company … having easy access to how to log in to your gmail account is always helpful. Just click the link above… you’re welcome! ohhh… probably one of the most frustrating things that will happen in your Facebook ad process. The moment you get that “Your ad wasn’t approved” notice on Facebook. UGH!! After all the time creating the ad and graphic and then THAT happens. Click the link above to set yourself up to test those graphics you create for Facebook ads BEFORE you upload them and do your whole Facebook ad process. It’s a time and frustration saver! Yes… YELP is something every business owner will want to utilize. If you aren’t already on yelp – the above link help’s you get started as a business there. Yes, they will contact you about all their available options. Yes, it may be a lot of times they call you about their available business options. Listen to what they have and pick what might work for your business! Yelp on my small business friends …. Yesss…. this is our secret weapon of all our clients. I LOVE when I hear people saying “Google + is dead.” or “No one uses Google Pages.” … keep saying that and I’ll keep putting my clients on these pages to beat out their compeitors. Maybe that’s you! For those of you who want massive local exposure – GET. A. GOOGLE. MY. BUSINESS. PAGE. You’ll thank me! For those of you loving and using Instagram for your business already – did you know there is an Instagram Business Page? There is! Opening this type of account vs. the regular profile on Instagram provides you with great analytics. You’re able to see how people interact with your brand, how many see /interact with each post and you’ll find that locally – this is a pretty good thing to have! Opening up your Instagram business account will open up some great customer insights for you! If you are monitoring your buisness SEO work – then having a LinkedIn Company Page is something you’ll want to jump on right away! We’ve noticed that these pages rank pretty high on Google, so it’s a great place to share your company content! You’ll have all sorts of analytics beside the Google ranking benefit. You’ll also be able to use this page to connect your business with your personal profile and that of all your employees. It’s a great way for added exposure of your company within LinkedIn. 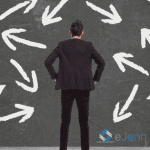 These are some great links to start your business off on the right foot when you’re starting your online marketing strategy. Of course just opening these accounts is one thing … creating and using them in an effective way is a whole other story! These should help you gain a little bump in extra online exposure.